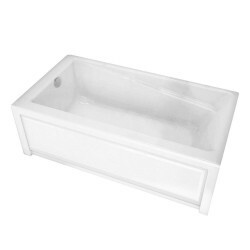 Cabalo Acrylic Freestanding BathtubFreestanding Acrylic BathtubContoured interior corners for increa..
Fleurco - Voce Petite - Lucite Acylic Freestanding BathtubFeatures:Lucite® acrylic bathtubAcrylic hi..
Longevity - Renovation II - 3 - Piece Right Drain Tubshower - R2063W F..
Longevity - Renovation II - 3 Piece - Left Drain Tubshower - L2063W Fe..
Essentia 2060White, One Piece, Left Drain Tubshower. 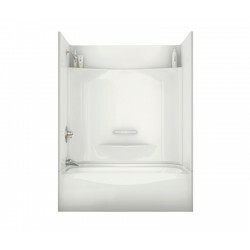 60" x 84" x 32"Product Specifications• Man..
Essentia 2060White, One Piece, Right Drain Tubshower. 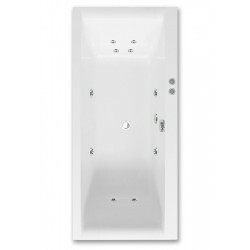 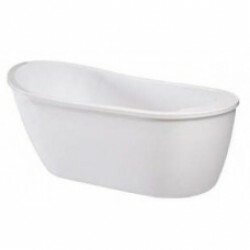 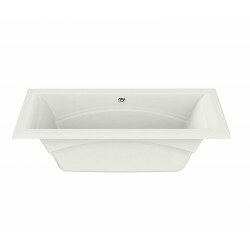 60" x 84" x 32"Product Specifications• Ma..
Longevity - Novare - Drop-In Bathtub - 6032 - White - End Drain Features:High qual..
Maax - Allia - 3 Piece Tubshower with Roofcap - 60" x 32" x 88" - Leftt DrainFeatures:3-Piece tub sh..
Maax - Allia - 3 Piece Tubshower with Roofcap - 60" x 32" x 88" - Right DrainFeatures:3-Piece tub sh..
Maax - Exhibit 6030 - Left - WhiteMinimalist look with discreet armrests and textured bottomIntegrat..
Maax - Exhibit 6030 - Right - WhiteMinimalist look with discreet armrests and textured bottomIntegra..
Maax - Rubix 6032 - Left - WhiteUnique feature: Narrow end decks, long bathing well and smooth botto..
Maax - Rubix 6032 - Right - WhiteUnique feature: Narrow end decks, long bathing well and smooth bott..
Produits Neptune - Berlin F2 - Free Standing Bathtub - 60" x 32"
Produits Neptune - Berlin F2 - Free Standing Bathtub - 60" x 32"The Rouge line from Produits Neptune..
Produits Neptune - Juna - Integrated Skirt and Tiling Flange - 60" x 32" - Left Hand DrainThanks to ..
Produits Neptune - Munich F2 - Free Standing Bathtub - 60" x 32"
Produits Neptune - Munich F2 - Free Standing Bathtub - 60" x 32"The Rouge line from Produits Neptune..
Cabalo - Rectangular Freestanding Bathtub - RF1220B..
Fleurco - Voce Petite - Lucite Acylic Freestanding Bathtub..
Longevity - Renovation II - 3 - Piece Right Drain Tubshower - R2063W..
Longevity - Renovation II - 3 Piece - Left Drain Tubshower - L2063W..
Longevity - Essentia - Left Drain Tubshower - L2060W..
Longevity - Essentia - Right Drain Tubshower - R2060W..
Longevity - Novare - Drop-In Bathtub - 6032 - White - End Drain..
Maax - Allia - 3 Piece Tubshower with Roofcap - 60" x 32" x 88" - Left..
Maax - Allia - 3 Piece Tubshower with Roofcap - 60" x 32" x 88" - Righ..
Maax - Exhibit 6030 - Left - White..
Maax - Exhibit 6030 - Right - White..
Maax - Rubix 6032 - Left - White..
Maax - Rubix 6032 - Right - White..
Produits Neptune - Berlin F2 - Free Standing Bathtub - 60" x 32"..
Produits Neptune - Juna - Integrated Skirt and Tiling Flange - 60" x 32" - ..
Produits Neptune - Munich F2 - Free Standing Bathtub - 60" x 32"..